This was my first time seeing Mike's band live, and I gotta say I was very impressed. I've given myself a few days to think about it, and I still say 5/5 on this one. To be clear, I'm not comparing this show to Phish, this is judging this concert strictly on its own merits. The band is solid and tight all around, every song was stretched out/jammed to some extent, the visual effects like the light-up guitars were a great effect, and I also enjoyed the audience participation. I got to play on the keyboard thingy on the front of the stage and it was a fun addition to the show. I also got most of the songs I was hoping for (Say Something, Yarmouth, DFD, Jumping, Face, Horizon Line; the others I was hoping for were Susskind Hotel and Easy To Slip but I'm not complaining). Cities totally rocked too, they play it a lot faster than the Phish version; I was surprised to hear new territory in a familiar song. 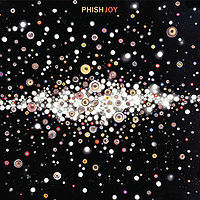 I personally can't say that I like this band better than Phish, but they are top notch. Overall I had a blast, the music is great and if you get a chance to see these guys don't pass it up 'cause you'll be in for a treat.